PACK & SEND offers reliable and comprehensive shipping services to and from Sri Lanka. We can provide flexible solutions for anything from commercial consignments to small parcels and air mail. Whether you’re an individual or a business, PACK & SEND can assist with sending goods to and from Sri Lanka with both standard and tailored solutions. So, whether you’re sending gifts to family in Colombo or Kandy, or you need to send excess baggage back home from Galle, Negombo or even Nuwara Eliya, our expert team will have you covered. 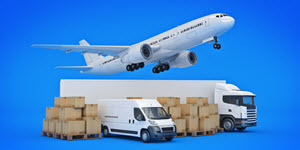 PACK & SEND is Australia’s most trusted international air and sea freight carriers. With our No Limits philosophy, no one job is too small, big, fragile or awkward. Whatever you need to ship, you can be confident in our secure, cost effective and dependable service.